Want a custom app for your business? But don't have sufficient fund? Or your in-house skill set does not match your requirement? In this case, we recommend you to outsource an Android App Development Company or Android app developer. At present, Android is considered as one of the most popular platforms for smartphones development. This platform holds a market share of 80% of all the smartphones sold. 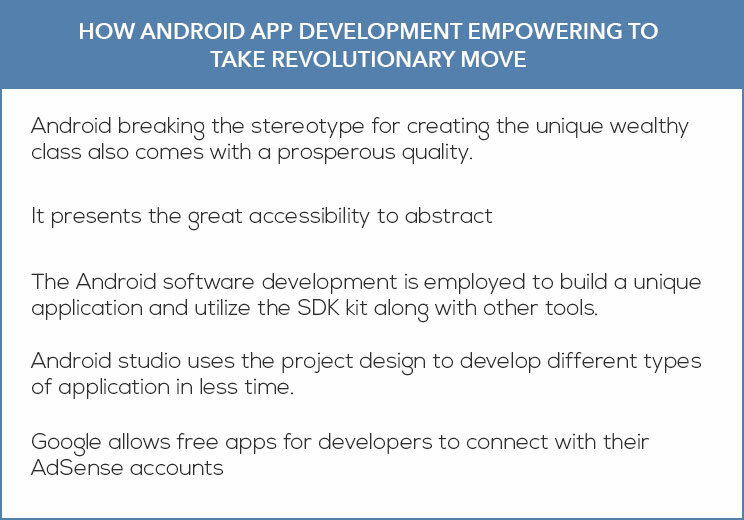 With the mobile market still booming, the app development will continue to be in limelight. With wearables and other new interactive technology, apps have become an integral part of life. If we consider the number, the projected app downloads can reach approx 268,692 millions of apps. Moreover, mobile apps are forecasted to generate around 189 billion U.S. dollars in revenue by 2020. Well, outsourcing is an ideal option to find the proper skill set within a standard budget. However, when it comes to outsourcing, there are various issues and challenges. 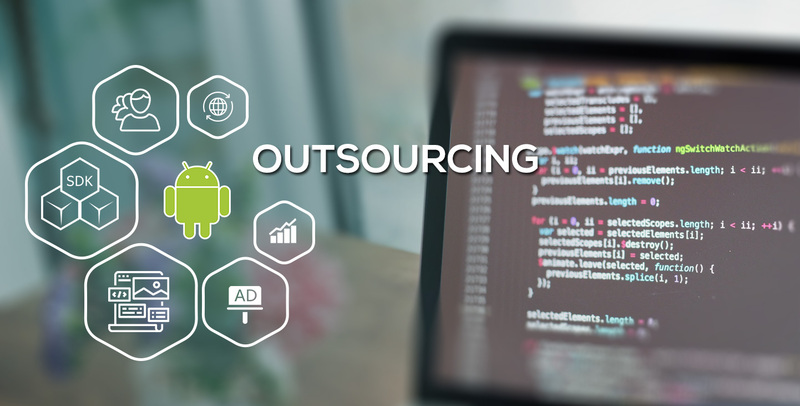 One of the greatest obstacles is finding the right android developer UK and app development partner, who can fulfill your purpose with a given timeframe and the resource. There are no specific parameters that define the right process to identify an ideal outsourcing partner. In such circumstances, look for a trusted Android App Development Company that understand ideas and timeline to get started with development. Assumptions are such that 1.4 billion Android smartphones will be shipped in 2018. The transforming and challenging digital landscape, demands Android mobile applications to scale businesses, whether it’s small to large organizations to improve workforce productivity and enhance customer engagement. Here what you need to do is, search for the top Android App Development companies or android app developer USA on Google. Go through the list of all the companies offering impressive android application development services, and determine on the basis of certain criteria that meets your requirement. Today, numerous android app development companies have mushroomed. hence, before hiring make sure if they can fulfill your requirement. Try to get information regarding the tools and technology they specialize in. For example; find out whether they are an early adopter,i.e. Weather they build apps with Kotlin or still follow Java? The portfolio section is the best place where you get to see the actual work done. Explore some of the apps which are similar to your requirement, this will give you a rough idea if you are capable enough to do fair with your app's requirements. when it comes to outsourcing, it is more off budget-friendly things. The resources (Skilled developers) are constantly increasing, people prefer to opt one that fits in their budget and at the same time do not compromise the quality. Therefore, once you finalize the outsourcing company, negotiate on the budget, but make sure it does not compromise on the expected quality. Today, outsourcing has emerged as a great platform to meet the challenges and delays pertaining to in-house development. Seeking an ideal partner with perfect skill is a daunting task, thus, outsourcing comes a resource for most of the companies. 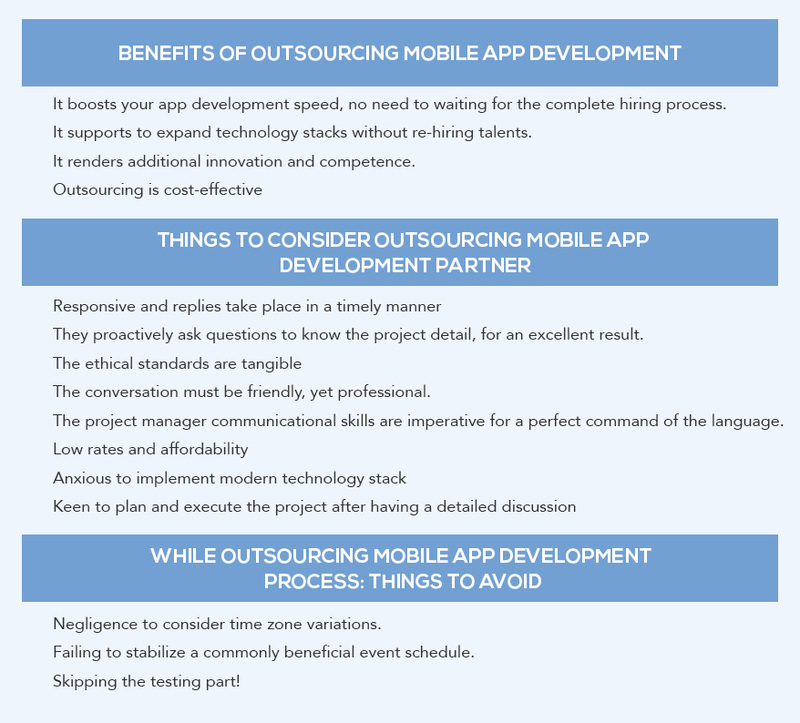 Are you looking to outsource Android App Development? Partner with Root Info Solutions - a technology first web and Mobile App Development Agency!